Civil resistance movements have a proven role in advancing human rights, promoting democratic governance, and curtailing corruption. They are a critical factor in directly and indirectly addressing root causes of human suffering and reducing deadly violence in the world. It is therefore incumbent for members of the policy community—whether in international nongovernmental organizations (INGOs), think tanks, multilateral institutions, or governments—who care about these issues to understand how movements work; their historic record of making change; and when, how, and under what circumstances external actors can take actions that are helpful to movements. This can be challenging to external actors, because civil resistance movements are different than traditional hierarchical organizations. Movements are also disruptive—they upset existing power arrangements. They are driven by popular energy and initiative, and external actors can neither start movements nor control them. However, external actors can play an important role in expanding the political space within different societies, inhibiting the capacities and actions of repressive adversaries, and responding to the needs that movements express. The actions of sympathetic external actors can be seen as an extension of what a movement demands. 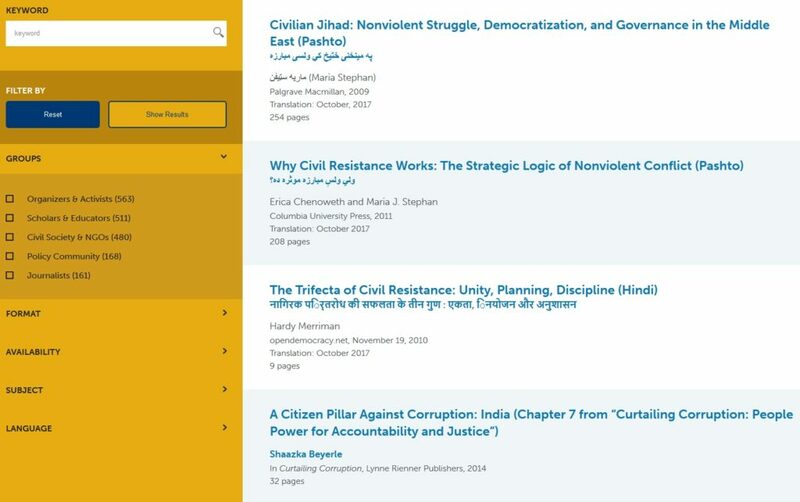 ICNC supports research, informed discussions, and the development of resources about effective external assistance to nonviolent movements and campaigns. It is particularly important for members of the policy community to address this issue at a time of increasing repression against civil resisters and civil society around the world. ICNC is supporting research on the effects of different forms of external aid—or combined forms of external aid—on the outcomes and longer-term impacts of civil resistance campaigns. The research team aims to collect and analyze systematic data on numerous nonviolent campaigns to assess their impacts. They are employing a three-pronged methodology to ensure: (1) data reliability; (2) causal inference; (3) generalizability; and (4) legibility to practitioners. events data on tactical selection during campaigns from 1987-2011 (NAVCO 3.0). NAVCO 2.0 will be regularly updated with new cases of civil resistance struggles. 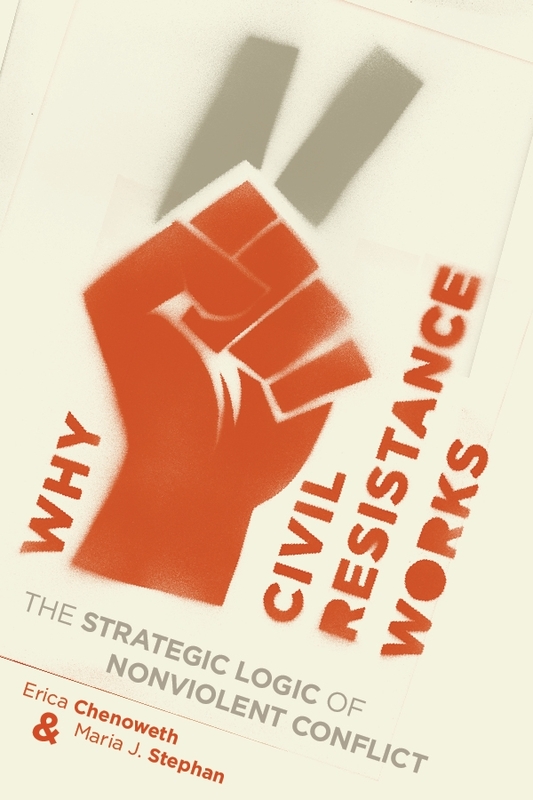 The Nonviolent and Violent Campaign and Outcomes (NAVCO) research project led to the publication of their book titled Why Civil Resistance Works: The Strategic Logic of Civil Resistance, published by Columbia University Press in 2011. This book, based on ICNC-supported research, won the 2012 Woodrow Wilson Foundation award for “the best book on government, politics, or international affairs”, given by the American Political Science Association. The book also resulted in the authors receiving the 2013 Grawemeyer Award for Ideas Improving World Order. Launched in 2017, ICNC’s Special Report Series aims to bridge the gap between academic, policy and other practitioner communities. ICNC Special Reports draw on cutting-edge research to show the intersection of civil resistance and other fields such as peacebuilding, conflict resolution and international development. ICNC’s Monograph Series aims to enrich public discourse by expanding scientific knowledge. Monographs are designed to be accessible to practitioners, while drawing on scholarly literature and high-quality analytical and empirical research. Each monograph includes general and specific recommendations for practitioners such as activists, organizers, journalists, and members of INGOs and the policy community. Details on all of our published monographs are here. This monograph will examine civil resistance against efforts by the military or other elements to forcefully overthrow democratic governments and replace them with autocratic regimes. 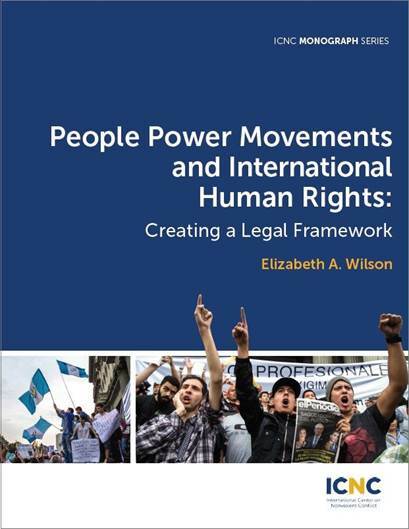 Using five scenarios of civilian-driven nonviolent counter-coups consisting of two cases each, the monograph will address such questions as: How are such uprisings similar and different than the more protracted pro-democracy struggles against already-existing dictatorships? 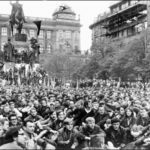 What is relevant from the existing literature regarding anti-authoritarian civil insurrections and what is unique to counter-coups? 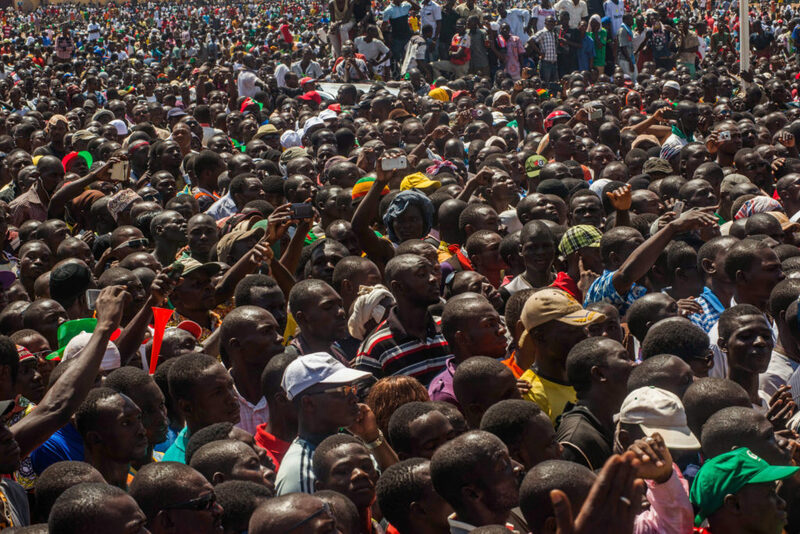 How can civil society successfully mobilize large numbers of people in a short time prior to the consolidation of power by undemocratic forces? What potential is there for civil society to organize in advance and plan contingencies for rapid mobilization in the event of a coup? What in particular would be most effective in terms of planning? 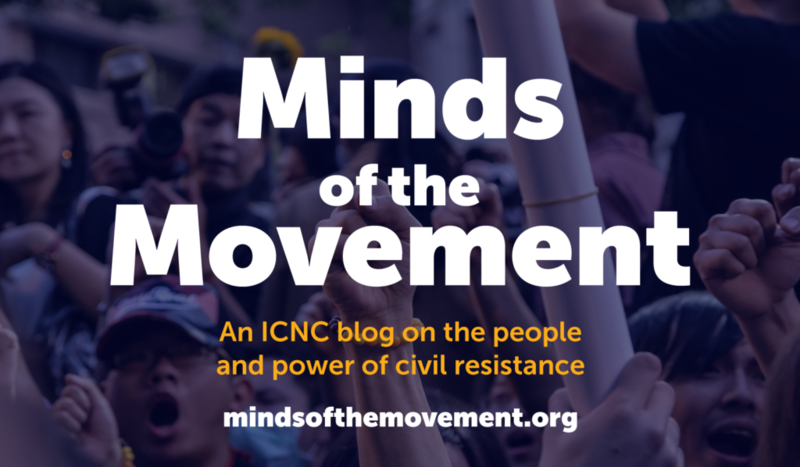 Minds of the Movement (ICNC’s blog) is a forum for a wide range of people interested in the growing field of civil resistance. Our stories, interviews and commentary give readers insight on particular developments, strategies, and movements, highlighting lessons learned and implications. 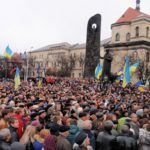 Nonviolent Conflict News (NVCNews.org) aims to be a dedicated, reliable source of international media coverage on civil resistance. While single protests generally draw the attention of most media outlets, NVCNews seeks to go beyond this, providing a window into in-depth analysis of civil resistance movements, their dynamics, and the full range of nonviolent tactics that they use. This webinar elaborated on a national nonviolent defense as a viable means to counter external, overt and covert (hybrid) aggression and foreign occupation. This webinar focused on political parties/coalitions in polarized societies that used civil resistance tactics to attempt to oust democratically elected governments which had fallen into disfavor with a significant portion of the population. The webinar discussed the role and impact of popular civil resistance struggles against corruption; why and how people rise up against corruption and impunity; successes and setbacks of civil resistance fight with graft and abuse; and the differences but also synergies between bottom-up and top-down efforts to undermine corruption. We will be updating the list of the upcoming webinars regularly and encourage our readers and viewers to return to this webpage periodically. 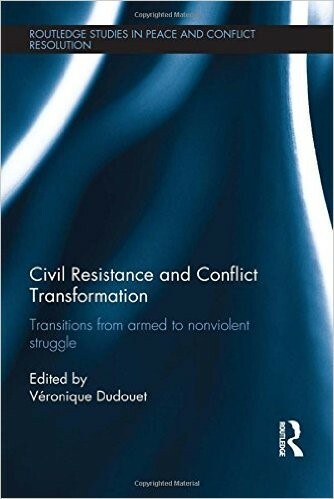 This book investigates the decision-making process, rationale and determining factors which underlie the strategic shifts of armed movements from violent to nonviolent resistance. 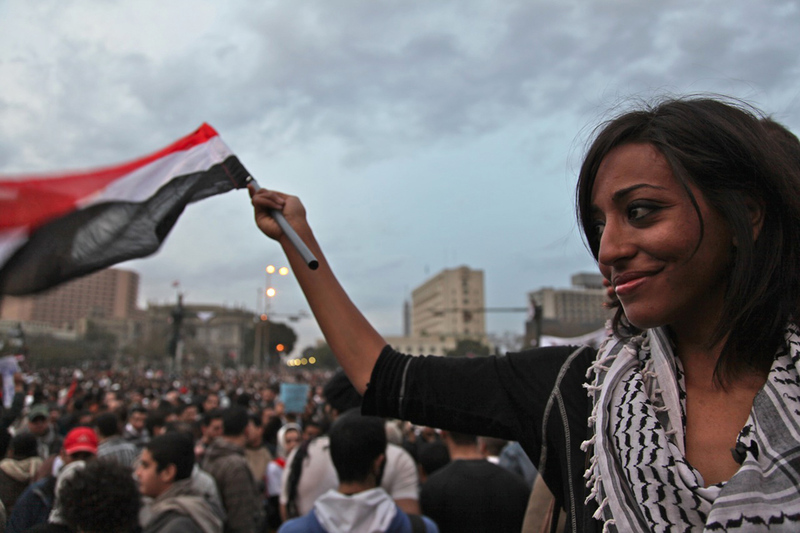 The revival of global interest in the phenomenon of nonviolent struggle since the 2011 Arab Spring offers a welcome opportunity to revisit the potential of unarmed resistance as an alternative pathway out of armed conflicts, in cases where neither military (or counter-insurgency) nor negotiated solutions have succeeded. This volume brings together academics from various disciplinary traditions and offers a wide range of case studies – including South Africa, Palestine and Egypt – through which to view the changes from violence to nonviolence within self-determination, revolutionary or pro- democracy struggles. 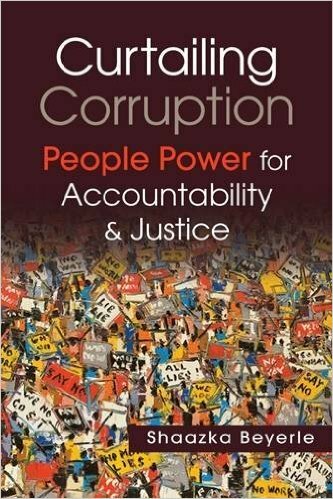 How do citizens counter corruption and exact accountability from power holders? 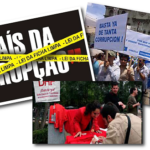 What strategic value does people power bring to the anticorruption struggle? Can bottom-up, citizen-based strategies complement and reinforce top-down anticorruption efforts? Addressing these questions—and demonstrating the critical role of grassroots efforts in the anticorruption/ accountability equation—the book explores how millions of people around the world have refused to be victims of corruption and become instead the protagonists of successful nonviolent civic movements to gain accountability and promote positive political, social, and economic change. 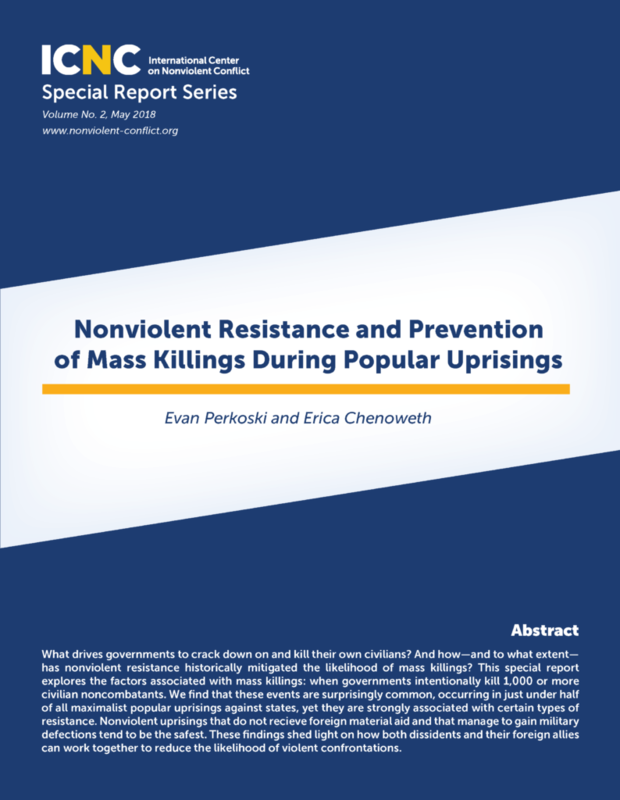 Combining statistical analysis with case studies of specific countries and territories, Erica Chenoweth and Maria J. Stephan detail factors enabling nonviolent resistance campaigns to succeed and, sometimes, fail. They find such campaigns present fewer obstacles to moral and physical involvement and commitment, and higher levels of participation contribute to enhanced resilience, greater opportunities for tactical innovation and civic disruption (and therefore less incentive for a regime to maintain its status quo), and shifts in loyalty among opponents’ erstwhile supporters, including members of the military establishment. 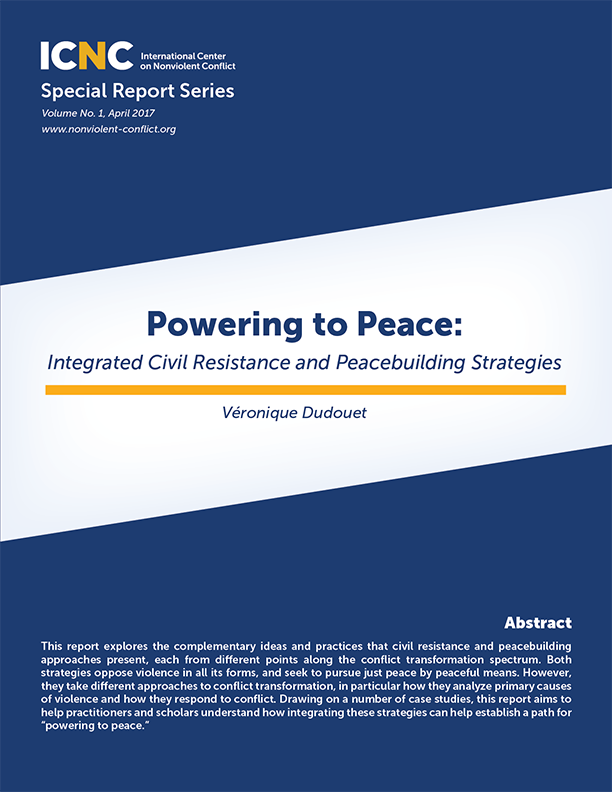 Chenoweth and Stephan conclude that successful nonviolent resistance ushers in more durable and internally peaceful democracies, which are less likely to regress into civil war. Presenting a rich, evidentiary argument, they originally and systematically compare violent and nonviolent outcomes in different historical periods and geographical contexts, debunking the myth that violence occurs because of structural and environmental factors and that it is necessary to achieve certain political goals. Instead, the authors discover, violent insurgency is rarely justifiable on strategic grounds. Responding to requests from civil society and governments, diplomats make important contributions to democratic development. Their work is largely unknown. Outdated stereotypes of this profession persist. The Diplomat’s Handbook begins to tell the diplomat’s story through case studies of practical measures diplomats from many democratic countries have taken across the globe. 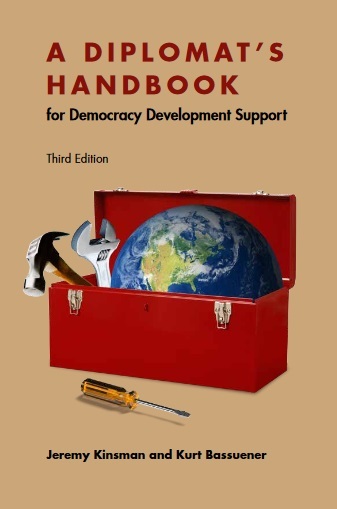 The Handbook recognizes that democracy cannot be exported or imported. It must be developed by the citizens of the country concerned. There is no one formula for success. But outside assistance is often requested, and there is a dearth of professional material for training and guiding our diplomats in deciding how they can appropriately respond. Civil society as well as governments can benefit from the Handbook, gaining a better understanding of what they can request from diplomats, who in today’s public diplomacy represent their own civil society as well. 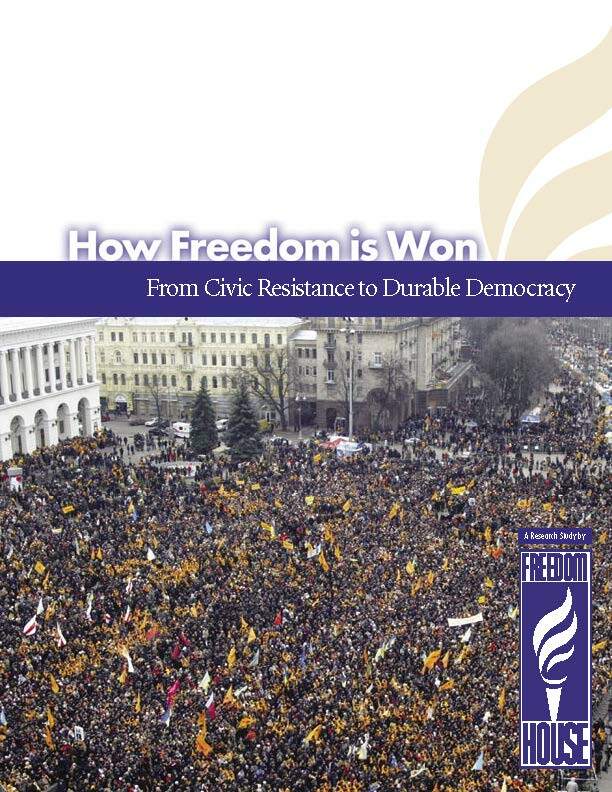 The study, How Freedom is Won: From Civic Resistance to Durable Democracy focuses on 67 countries where dictatorships have fallen since 1972. It draws on over 30 years of Freedom House data analyzing the state of global freedom and is the most comprehensive examination of political transitions ever conducted. The report’s central conclusion is that how a transition from authoritarianism occurs and the forces that drive the transition have significant impact on the success or failure of democratic reform. In large measure, the study finds that transitions generated by nonviolent civic coalitions lead to far better results for freedom than top-down transitions initiated by elites. The study finds that “people power” is a frequent phenomenon, and civic coalitions are a major presence in most transitions. 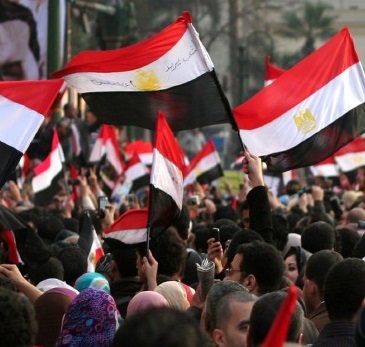 In 50 of the 67 transitions, or over 70 percent of countries where authoritarian systems fell, nonviolent civic resistance was a strong influence. Civic resistance employs such tactics as mass protests, boycotts, blockades, strikes, and civil disobedience to challenge the legitimacy of and erode support for authoritarian rulers. The ICNC Summer Institute for the Advanced Study of Nonviolent Conflict (formerly called the Fletcher Summer Institute) was the first professional education program in the world focusing on the advanced, interdisciplinary study of civil resistance. Organized annually from 2006 to 2016, this 5-6 day course accepted 45-50 international participants—including activists, scholars, journalists, and members of NGOs and the policy community—per year to learn about diverse assets of movement organizing and civil resistance. 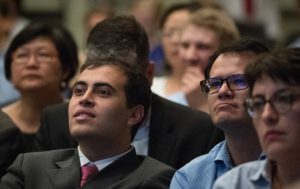 In 2017, in response to rising demand for knowledge of civil resistance around the world, ICNC made a strategic decision to discontinue the ICNC Summer Institute and instead to establish ICNC Regional Institutes, which aim to provide increased accessibility and allow more participants to attend. Although the ICNC Summer Institute will not be taking place this year, more information about past Institutes, as well as video-recorded presentations from past years, may be accessed here.